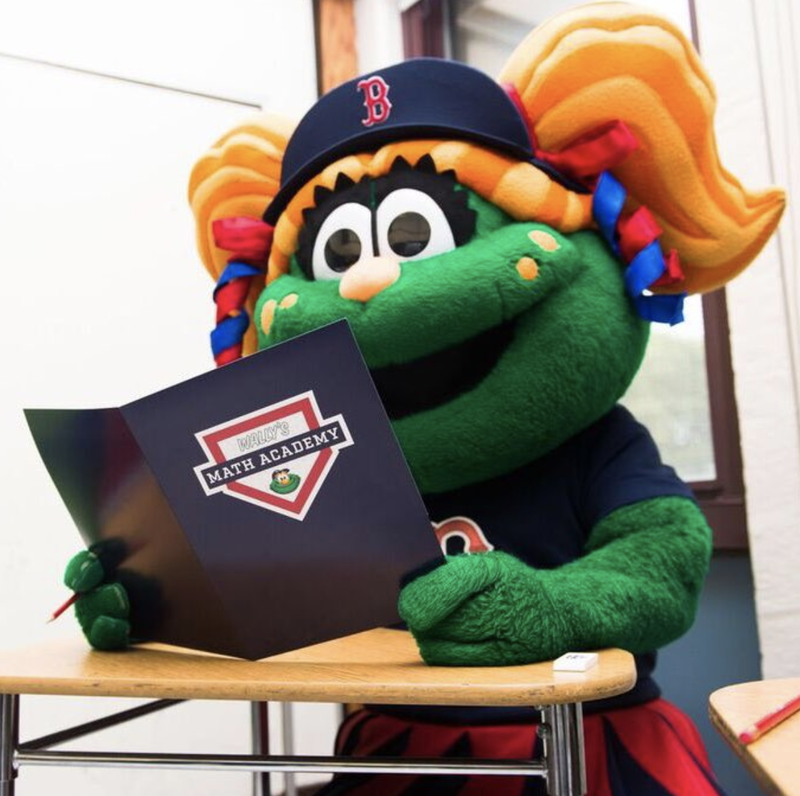 As the Red Sox are continuing their franchise-record-setting run of 107 games won in a season, our friends at Fenway have created a way for kids to improve their math skills and educators to incorporate real-time statistics into the classroom with Wally's Math Academy. 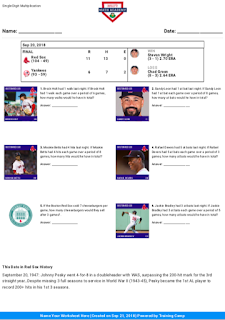 The new program, “Wally’s Math Academy” replaces generic word problems with actual game data, incorporating video recaps of Red Sox games and photos of players. The program is free to educators and available by visiting redsox.com/wallysmathacademy. 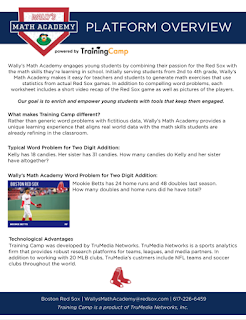 With the goal of enriching and empowering young students with tools that keep them engaged, “Wally’s Math Academy” makes it easy for teachers and students to generate math exercises that use statistics from actual Red Sox games. Currently serving students from 2nd to 4th grade, the program will soon expand to additional grades. Part of the team’s Calling All Kids initiative designed to enhance kids experiences at Fenway Park, “Wally’s Math Academy” is designed to reach elementary and middle school-aged audiences across the country. Please Note: The “Single Digit Multiplication” worksheet is provided solely as an example of the “Wally’s Math Academy” program and is to be used by educators with students within the 2nd to 4th grade phase. NOTE: We are proud members of the Red Sox Parents. We are provided with tickets to Sox games and events in exchange for sharing this great information with you. All opinions, as always, are our own.